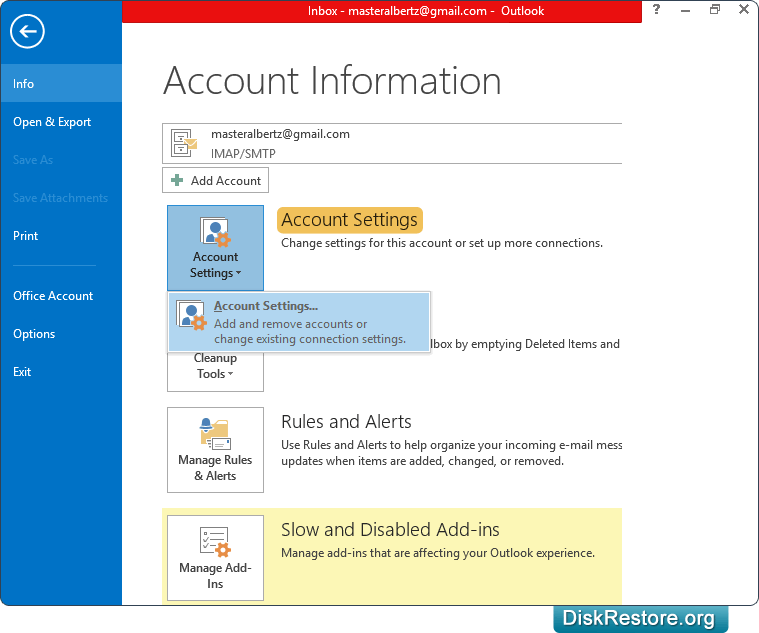 Outlook password recovery utility recovers all lost or forgotten saved email, news group account passwords configured on Microsoft office outlook accounts. Password recovery utility extracts entire list of outlook users name and passwords that can be saved at user-defined location. 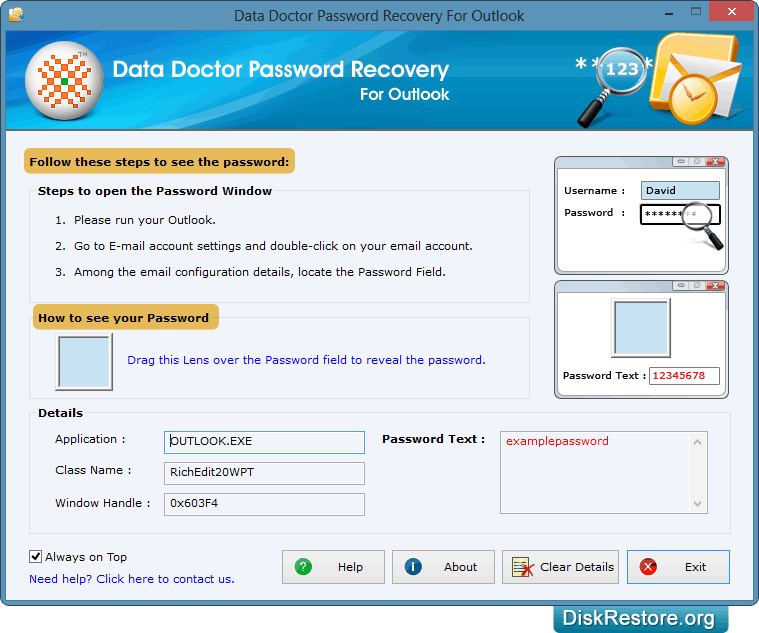 Outlook password recovery software is a useful tool for users who find difficulty in managing multiple Email accounts passwords. Functional utility shows login names, password (of any length and complexity) and server information including incoming mail server and outgoing mail server. 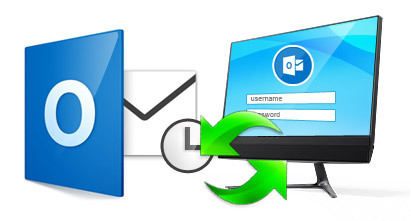 To recover lost password of your outlook account, open Password Recovery Software for Outlook. 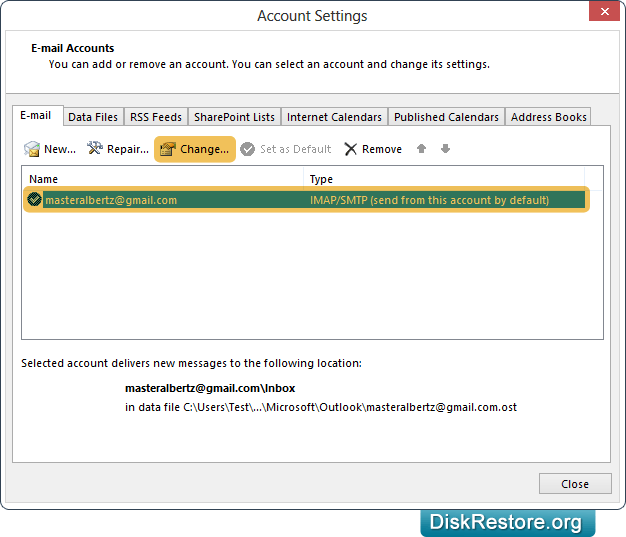 Open your outlook account and select 'Account Settings' option. Select your email and click on Change option. 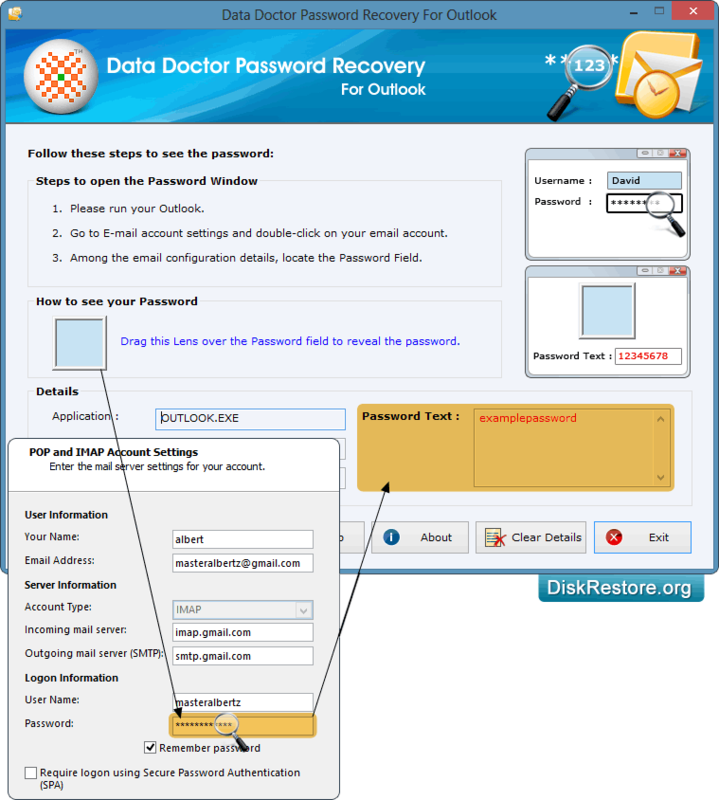 Now locate the password field to recover lost or forgotten password. 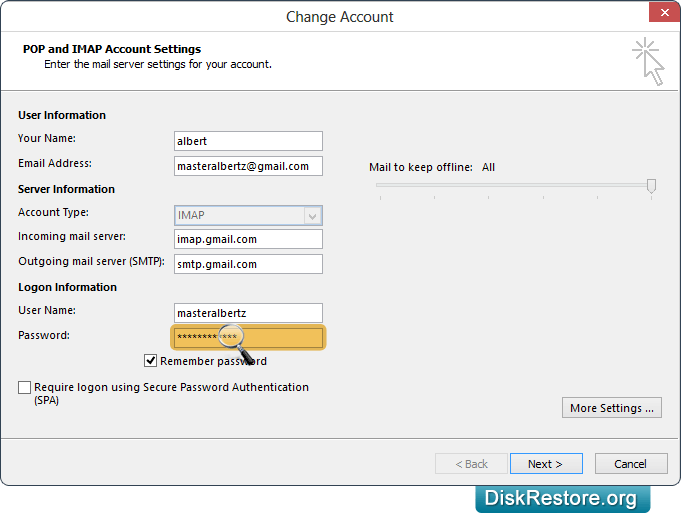 Now drag lens (from Password Recovery Software for Outlook) over the password field. You can see the recovered password in Password Text box in software. Advance password Unmask tool supports recovery of lost passwords in all latest versions of Microsoft Office Outlook. Software recovers passwords of email IDs hidden behind asterisks (****) and helps technical as well as non-technical users to rescue the password. Application recovers passwords and saves them in text file at user specified location for future reference.